If you’re watching a McClintock girls varsity soccer game, chances are you’ll hear Alicia Nicholson before you see her. And when you see her, the first thing you’ll see are her feet. Her bright orange cleats guide the path for the soccer ball, which she effortlessly dribbles between both feet, weaving through players and evading defenders. All while coaching or cheering along her teammates. Whether she’s donning McClintock’s navy and red, or black and gold with her Classic Soccer Academy team, one thing remains common: Nicholson brings something different to the field each time she steps on it. Nicholson's impact on the Chargers this season? Averaging nearly a goal a game while posting enough points to hold the rank as the leading freshman in the 5A Northeast Valley, according to the AIA. 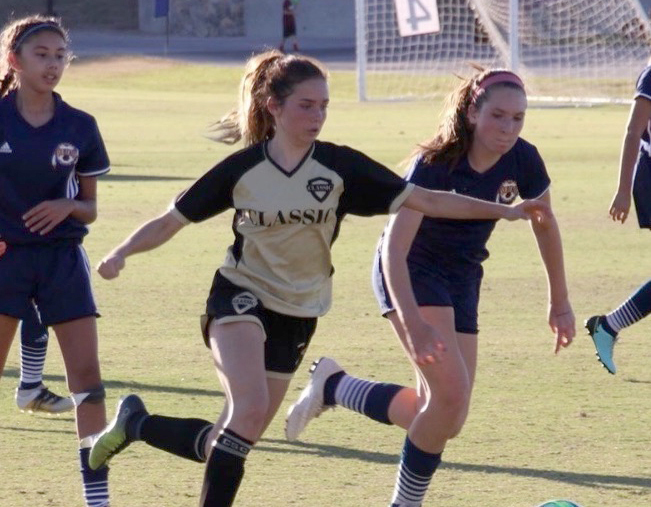 With 14 goals and three assists on the season, the 15-year-old from Tempe is leading her team both on and off the field in her breakout varsity debut season. “Going from one win last year to now our seventh win this season, things are definitely on the rise here,” Belden said. Having played soccer since the age of 7, Nicholson noticed her skills as a leader developing alongside her athletic ability. 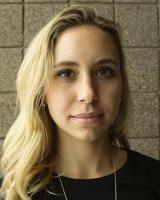 She credits the seasoned veterans on the McClintock pitch for bringing out her leadership skills. Alongside the upperclassmen, Alicia’s parents support her, traveling to each home and away match, taking breaks from the game only to take a few laps around the track during halftime. Sean Nicholson doubled as both Alicia’s father and coach for a span of nearly five years. During the bulk of her youth years, Nicholson played up an age group in club sports, looking to challenge herself, even at a young age. Nicholson balanced his roles as both a father and coach by leaning on other coaches when needed to assist Alicia with drills and technique. “I was a little harder on her for a while, but as she got older I stepped back a little bit,” Nicholson said. David Salonic was Alicia’s club team coach while she was in both the U13 and U14 divisions with the Classic Soccer Academy, now RSL-AZ Classic. To Salonic, the biggest feature Nicholson possessed that stood out to him is her “technical and tactical abilities,” alongside her ability to push herself, and as a result, push her teammates on the field. Nicholson is one of three Chargers who balances the demands of playing both varsity and club soccer with being just a normal high school student, sans the social life. She said she treats school like soccer, trying her hardest to get good grades, but that the sport provides structure in her busy life. Belden said he tries to keep his athletes who double down on varsity and club play from experiencing burnout. “If you have the talent, you really have to make sure you can manage it, so you can make it through the long haul and play for four years and hopefully make it to the next level,” Belden said. Nicholson, capping off an impressive freshman season, will fill out the rest of her year with club play, both in- and out-of-state.